I bought a few MCP23017 chips with sockets from Amazon. Those sockets unfortunately did not connect properly to my breadboard. After upgrading them to proper ones (like these, notice the round pins) I had no more connection issues. The “Windows.Devices.I2c” namespace does most of the work for you when trying to talk to an I2C-connected device. There’s an official code sample on how to do that. There are a few things to keep in mind, though. 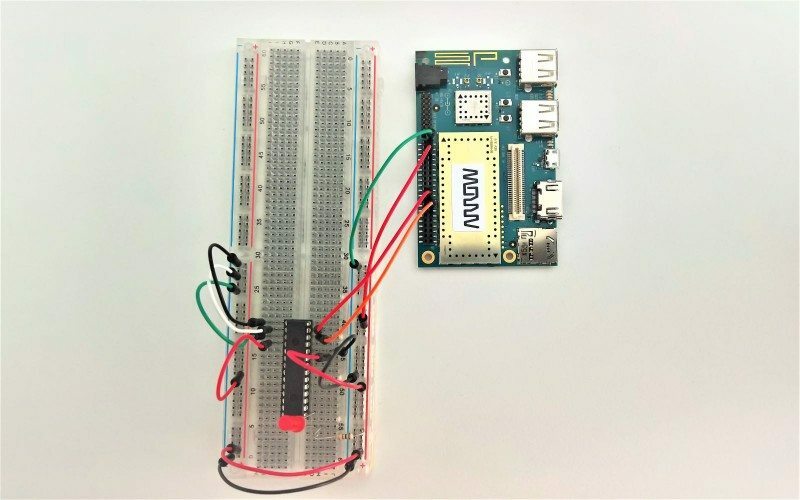 Most (if not all) tutorials for I2C on Windows 10 IoT refer to a RaspberryPi (2/3) setup. There, you’ll be using the 3.3V power source for your chip. 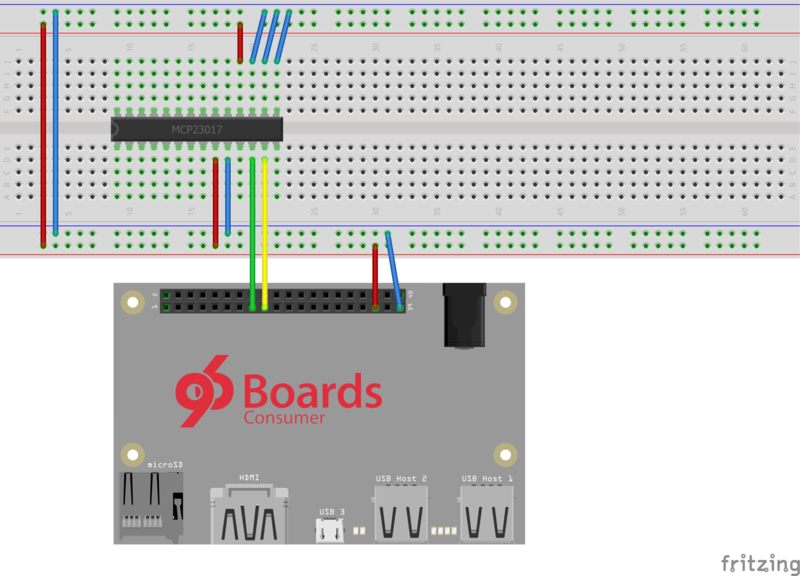 However, the DragonBoard will only work with the 1.8V pin. That’s not that big of an issue as the MCP23017-chip will work with 1.8V – 5.5V. You can’t use I2cBusSpeed.FastMode (aka 400kHz) at that voltage level with the expander chip. You’ll need to switch to I2CBusSpeed.StandardMode (100 kHz), otherwise you’ll get the dreaded “Slave address was not acknowledged.” error, which can basically mean anything. Another thing I was uncertain about was the I2C address of the port expander. I seems you’ll only need 7-bit without the r/w-bit, so you get 0x20 with all address ports (a0, a1, a2) set to ground. When looking at how to actually work with the GPIOs on the expander chip I found a great helper class for the Raspberry Pi written by Michael Hacker (awesome name for a programmer btw.) that I was able to adapt for the DragonBoard. This will take care of a lot initialization work as well as give you nice enums & constants to work with the GPIO pins instead of reading and writing meaningless hex-codes.